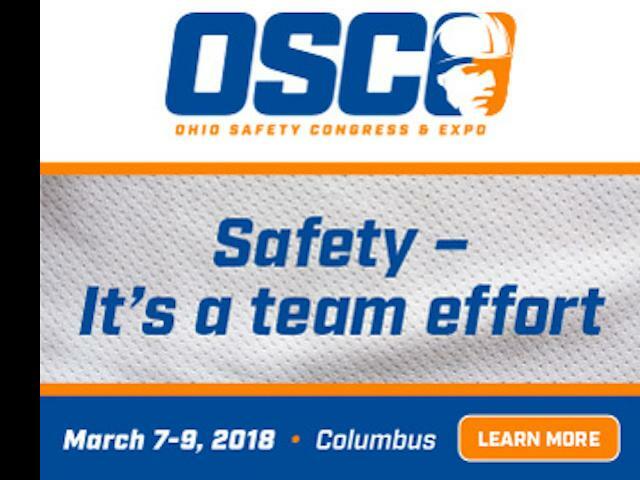 The 2018 Ohio Safety Congress & Expo (OSC18) is March 7th – 9th at the Columbus Convention Center. The event, sponsored by the Ohio Bureau of Workers’ Compensation, helps businesses keep their work force safe, healthy and productive. More than 200 educational sessions, guest presenters from various states and more than 250 exhibitors share their knowledge and resources at this free event.